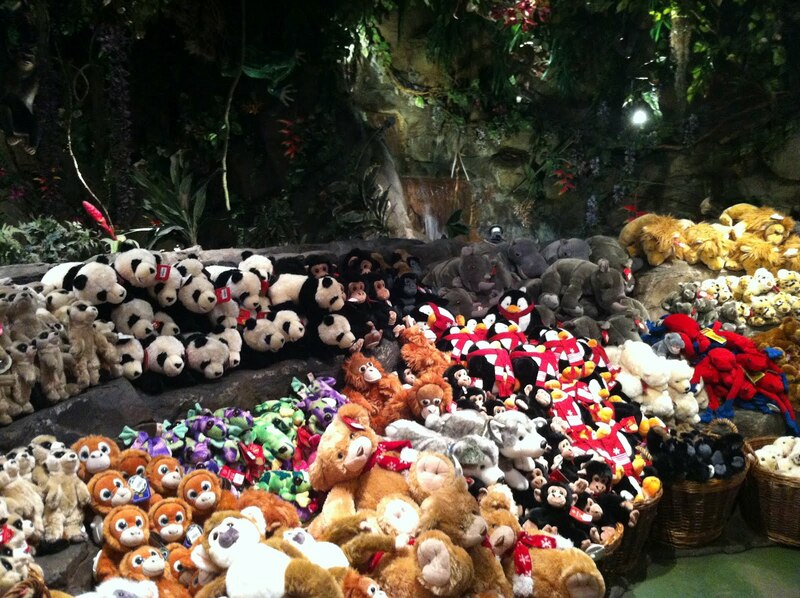 Welcoming you to the Rainforest Cafe the Retail Village is the very beiginning of your Rainforest adventure. It is here that you will first meet the friendly characters that populate our resturant like Nile the crocodile. Be entranced by the overwhelming atmosphere, discover life-size snakes hanging from the canopy's branches and hear Tracy Tree telling stories about the world's rain forests. There is a variety of animal character soft toys for all ages, including or well renowned character Cha!Cha!, the red eyed tree frog. We also stock a wide range of plush toys from chimpanzees to lions, tigers and leopards. Plus, if you are a Beanie-Babies or Veanie-Buddies fan, you will be happy to know that as an authorised TY retailer we have their latest releases. Perhaps you could find that long sought after Beanie Baby to complete your collection. The popular Animal Hood are suitable for children of ages 2 to 12.